The Allenville Sate Bank were chartered August 19, 1911. 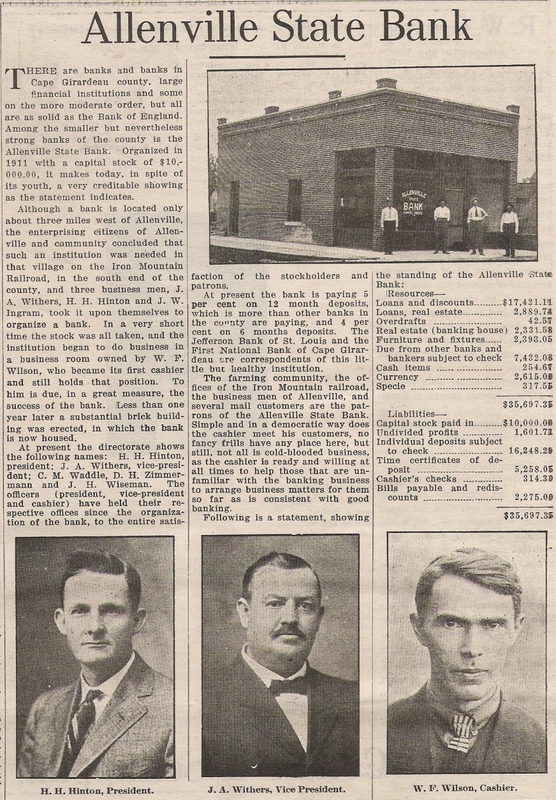 In Depth information on the Allenville State Bank is in the article below. 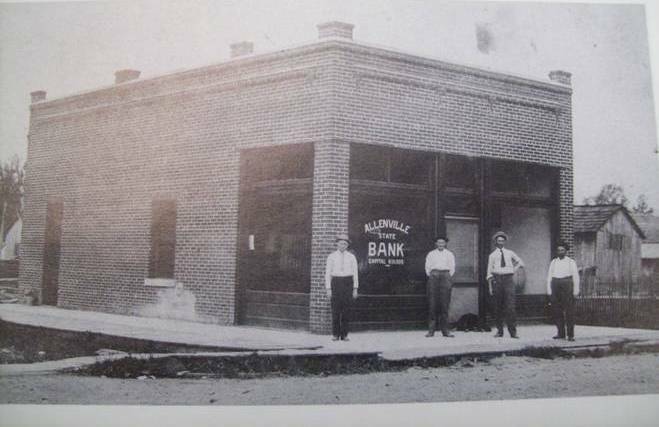 This article on Allenville State Bank gives insight to the amount of growth that was going on in Allenville, MO in the late 1800 and early 1900's. Not mentioned in the article above was assistant Cashier Lathan Misenhimer. The population and business was starting to boom. According to records from the MO State Bank Association, in 1919 the Cashier of the bank was J. W. Wampler. The banks Board of Directors were: H. H. Hinton, J. A. Withers, W. J. Misenhimer, D. H. Zimmerman and C. M. Waddle. 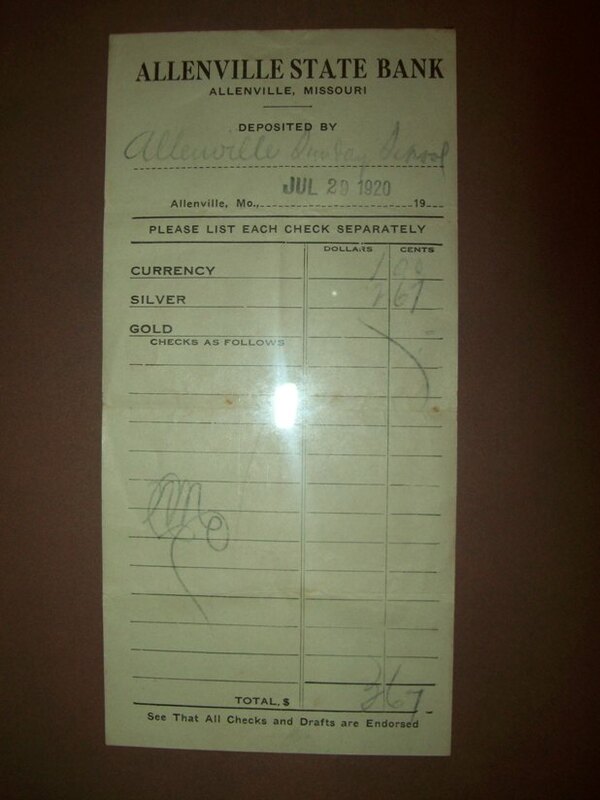 This is a deposit slip for offerings from Allenville Sunday School in the amount of $3.67 from 1920.